Perfect for flat panel televisions up to 70" that were mounted to the wall, but are to be moved to tabletop use. Universal mounting plate attaches to all VESA standard sets from 200x200 through 600x400, and provides a secure and attractive mounting. All screws and related hardware for attaching most televisions is included. 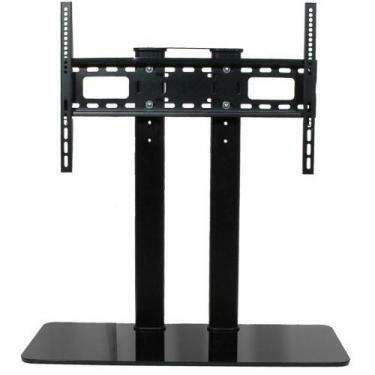 •Minimum height setting (TV center to base): 21.5"
•Maximum height setting (TV center to base): 25.5"